This machine is used for pillow filling.This runs on three phase 1HP motor. With valuable experience since 1950, we are successfully engaged in offering a quality-assured range of Defibring And Tearing Machines. Our product range encompasses Carding Machine, Rag Tearing Machine, Recron Poly Fiber Machine, Pillow Filling Machine and Double Roller Carding Machine. We manufacture these machines using high grade material and advanced technologies in compliance with the set industrial standards. These machines are widely demanded to be used in textile and non-woven industries. 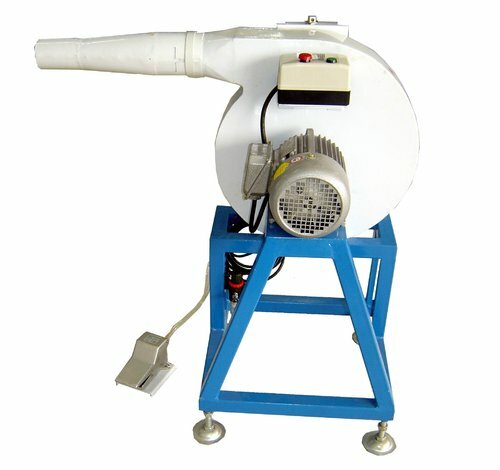 Some of the features of these machines are Low maintenance, Easy operations, Sturdy construction, Corrosion resistance. We own a sophisticated infrastructure unit, which is equipped with advanced machines and technologies. Owing to our technological advancement and efficient teammates, we have been able to fulfill the needs of our clients in a timely manner. All our teammates work in cooperation with each other in order to ensure smooth business operations. We understand the needs of our clients and strive hard to fulfill the same in a timely manner. Further, with our competitive pricing, timely delivery and transparent business practices, we have been able to maintain our remarkable market position.